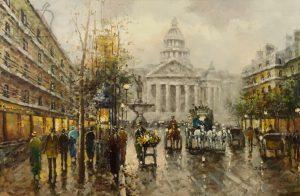 Nothing goes better with fast paced polo, than beautiful art. The 2017 J. Levine Art & Luxury Auction promises to be a spectacular show of rare antiques and breathtaking works of art. On Saturday, November 511th J. Levine, a premier leader in the secondary art & luxury market and one of the largest auction houses in the Southwest will host the World’s Most Beautiful Art & Luxury Auction in the ArtPolo Pavilion at the Bentley Scottsdale Polo Championships: Horses & Horsepower from 10:00 a.m. – 3:00 p.m. For more information or to get your tickets to the ArtPolo Pavilion, visit thepoloparty.com/tickets-tables. 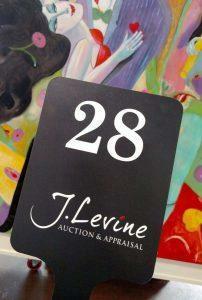 For more information on J. Levine Auctions & Appraisals visit their website jlevines.com. J. Levine office hours are Monday-Friday 9AM-5PM and Saturday 10AM-3PM. 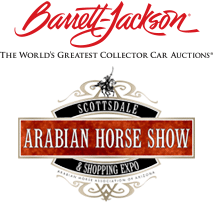 Located at 10345 N. Scottsdale Road, the Auction Gallery hosts preview events the last Thursday, Friday and Saturday of each month (doors open at 9 AM and bidding starts at 11 AM). Additionally, preview events start as soon as the gallery is set up, so generally the Monday before the auction we have previews all week from 9AM- 5PM until auction day!